PaytmMall Cashabck Offers on Mobiles- Get Upto Rs. 10000 Cashback. Purchase Android Mobiles, iPhones and Get Upto Rs. 10000Cashback. Choose from brand such as Xiaomi, Apple, Gionee, Oppo, Vivo, Coolpad, Honor, Asus, Intex, HTC, Moto and more. Apply coupon code from product Page to get Additional Paytm cashback.Offer valid on the landing page.Limited Period Offer. What are the Paytm Mall App Offers on Smartphones? 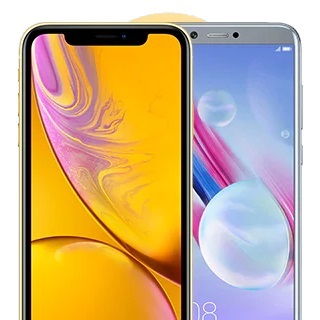 With new generation full view display, AI face beauty, 13MP read camera, fun touch OS and 3D curves, Vivo Y81i can be a perfect new year gift for yourself! Shop now at Paytm Mall. Apart from quick and cashless transactions, Paytm is known to bestow exciting discounts and cashback offers to its customers. To make online shopping easier for its users Paytm started Paytm Mall, an online e-commerce portal from where one can buy smartphones along with other electronic items. If you want to purchase a new smartphone, make sure to look for mobile offers today on Paytm Mall before you purchase it from somewhere else. Coolpad Note 8, with 4GB RAM and 64GB internal memory, worth Rs. 11,999 is exclusively available on Paytm mall at a 17% discount. In other words, you only have to pay Rs.9,999 for your new Coolpad Note 8, isn’t it one of the best Paytm mobile deals? Use the Paytm mobile promo code “MOB100” and save up to Rs.1,000. In case, you have not updated your KYC (Know Your Customer) details or your monthly Paytm wallet limit has been reached, you will get Goldback which is inclusive of 3% GST. Users can use the Paytm wallet amount for transactions like recharges, shopping, bill payments, travel bookings, movie tickets, and payments at retailers accepting Paytm as a payment source. The received cashback will be auto credit to the user’s wallet. The cashback will be credited to the user’s account within 24 hours from the time of the successful transaction. For cash on delivery orders, the amount will be credited to the user’s wallet within 24 hours post delivery. In case the product is purchased using the EMI payment mode, the cashback will be credited to the user’s wallet post return policy. In case, the product comes with no return policy, the cashback will be credited to the user’s wallet post seven days of the date of product delivery. On using the Paytm mobile promo code “GET8”, users can instantly save 8% on their purchases. With this Paytm mobile discount offer, users can save maximum up to Rs. 5,000. Lenovo K8 Note with 32GB RAM worth Rs. 13,999 is available at 43% discount on the Paytm Mall. therefore, you can buy this smartphone at Rs. 7,999 only. Besides, you can take the benefits of Paytm mobile cashback offer to earn cash back on your purchase. Use the Paytm mobile promo code “MOB650” and get a flat cashback of Rs. 650. Vivo Nxt worth Rs. 47,990 is available at a 17% discount on the Paytm Mall. in other words. You only have to spend Rs. 39,990 to make new Vivo Nex smartphones yours. In addition, you can use Paytm smartphone cashback offers to save more on your shopping. Use the Paytm mobile coupon code “SAVE5” to earn 5% cashback, maximum up to Rs. 9,999, on your shopping. For cash on delivery orders, the cashback amount (goldback for Nin-KYC users)will be credited to the user’s wallet within 24 hours post delivery. To avail additional 10% cashback, you need to purchage the the product using HDFC Bank Credit Card or Debit Card. Additional 10% Cashback (Maximum of Rs. 1500/ customer) will be credited in customer's HDFC Bank Credit Card or Debit Card account. This offer is valid on Credit Card EMI schemes as well. Minimum order amount should be equal to or more than Rs.5,000 to qualify for Additional cashback of 10%. All the applicable TnCs of "EMI / No Cost EMI" are applicable. Offer period for campaign is 12th December, 2018 to 17th December, 2018. However, HDFC Bank and Paytm Mall reserve the right to extend or cut short the offer at their discretion.